Click image to move slideshow to next image. Copyright Laura Read. 1. OLIVER ST. JOHN GOGARTY'S. 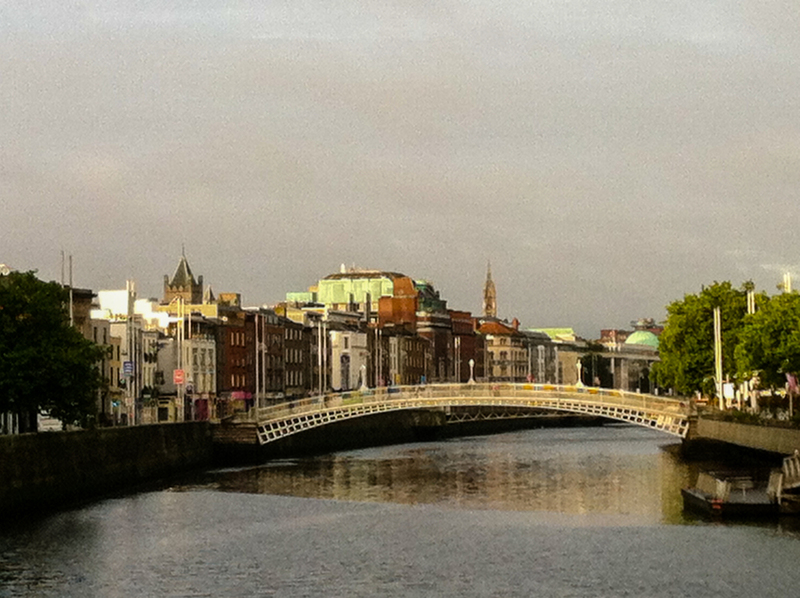 Dublin is often my first stop in Ireland. Even before unpacking, I go straight to a pub to hear the traditional music, which sparkles with a conviviality and vigor that only the Irish can muster. Back at home, I dream about the great pub episodes I've had in the past; In Dublin I can get them day and night, especially in the neighborhood of Temple Bar. 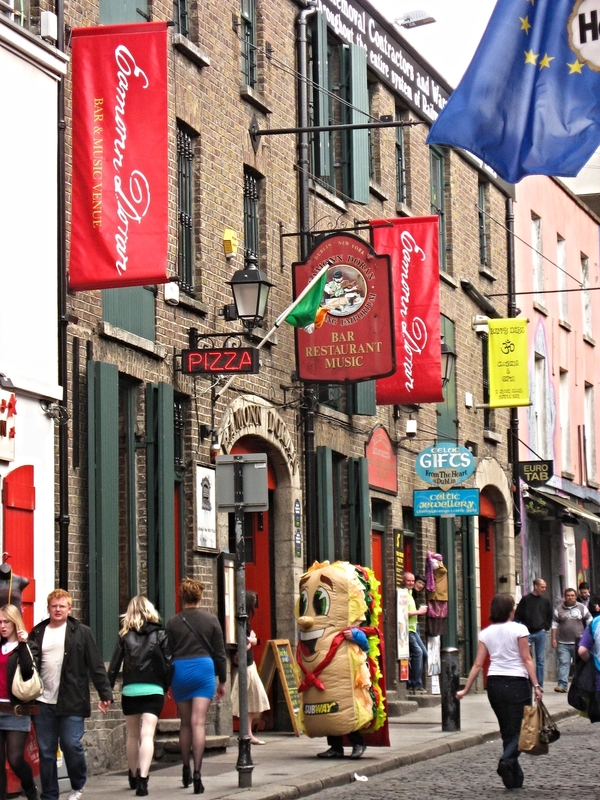 Originally a Norman settlement, then an English garden district, then a prostitution den, this puzzle of streets on the Liffey's left bank teems with pubs, food, cocktail lounges, and theater. Yes, it is touristy; yes, at night it's rowdy; but when I'm yearning for a fresh pint, a bowl of homemade veggie soup, and that crackling Irish fiddle in the middle of the day, Temple Bar is for me. Down Essex Street, I poke my head into the different venues until I find one that fits. I've warmed a stool in Oliver St. John Gogarty's so often that it feels like my personal corner pub. 2. PROJECT ARTS CENTER. Leaving Gogarty's, I navigate Temple Bar for a few blocks to a flat-fronted place that shimmers with vibes of the new: Project Arts Center. Live theater is Dublin's high culture heartbeat. At the month long Dublin Theatre Festival in fall, you can settle into dark seats in almost every venue of the city to see a different play on every night — two in a night, if you want. The theatre festival is an endless feast, tapping Ireland's astounding depth of stage-and-lights storytelling. Also in the fall, The Fringe Festival presents new and outsider performances all over the city. I love Project Arts Center’s intimate box-like theater space, where I saw a one-woman production of James Joyce’s "Finnegans Wake" that blew my mind. Walking through the glistening streets afterward, I joined new friends who'd been sitting next to me, each of us brimming with our own passionate interpretations. 3. DUBLIN LITERARY PUB CRAWL. 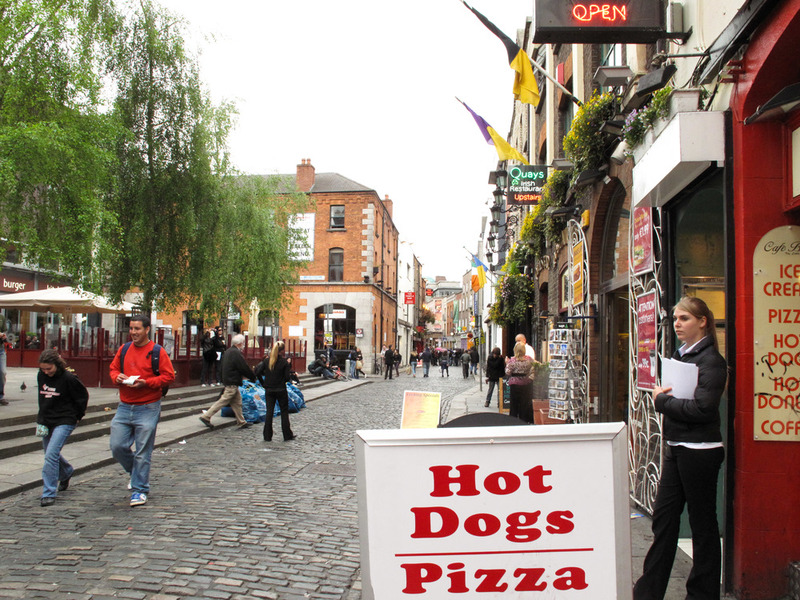 The company called Dublin Pub Crawls offers many themed walks, and the literary tour is my favorite. Theater performers guide you to the haunts and pubs of Ireland’s greatest scribes, enacting scenes from poems, novels and plays along the way. 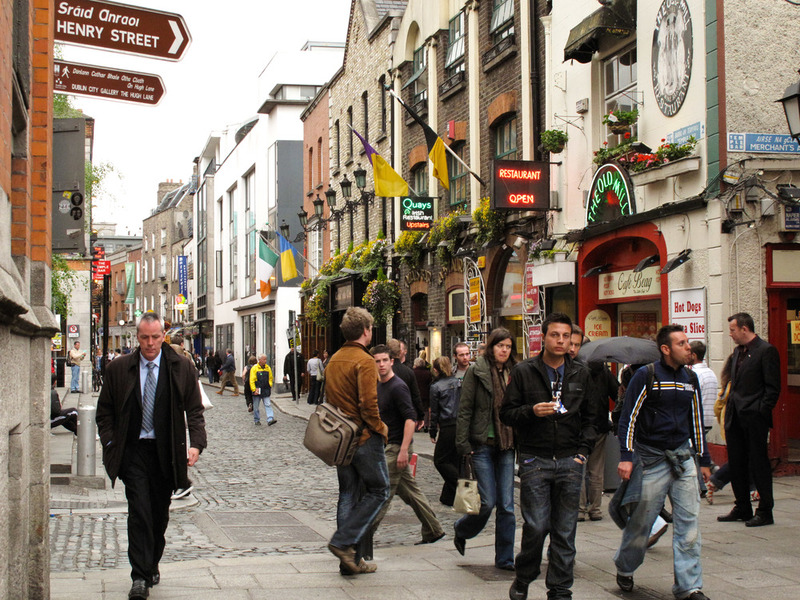 The Literary Pub Crawl occurs almost daily most of the year, usually starting at 7:30 p.m.. Find the latest details at Dublin Pub Crawls. 4. KILMAINHAM GAOL MUSEUM. Understanding Ireland’s contemporary relationship with England starts at the Kilmainham Gaol Museum, which tells of Irish political prisoners held there during the national political movements between 1789 to 1923. Getting acquainted with this conflict will help you in conversations all over Ireland, and will provide an anchor for interpreting the sites you’ll see in the rest of the island, sites that date to before the Middle Ages, before the arrival of Christianity, and even to pre-Christian times, revealing the depths of Ireland’s determination to be free. 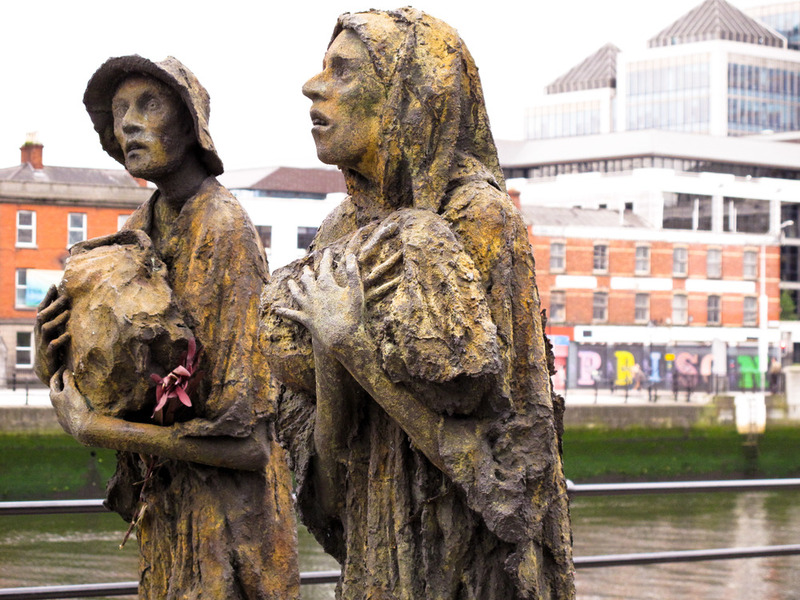 Outside, there’s a walking tour available through the Dublin Discover Trails app that connects points related to the rebellion. 5. IVEAGH GARDENS. Wander a few blocks from St. Stephen’s Green to find the lesser-known Iveagh Gardens, a spectacular assemblage of unique and pleasing features on a former earl’s estate. Referred to locally as Dublin’s “Secret Garden,” the 1865 Iveagh Gardens has a centerpiece of sunken lawns set around a fountain. I like to sit and rest my feet there, and watch the people and kids coming and going. Iveagh Gardens is full of intriguing spots: a maze built of box hedging, a pretty Victorian rose garden containing pre-1860s varieties, and a rustic grotto with a splashing cascade. Once I discovered a temporary outdoor art installation that produced different sounds as I walked by each stop. I love the surprises I get whenever I visit Iveagh Gardens. 6. BOOK OF KELLS. The glorious illuminated manuscript housed in Trinity College is one of the great artworks of the world. Believed to have been produced in 800 AD. by Celtic Christians (St. Patrick arrived to Ireland with Catholicism in 432 AD. ), it tells of the Four Gospels through renderings of intricate and fantastic mythical and biblical figures framed or wrapped into abstract Celtic patterns. Zesty colors and glittering gold leaf make the Book of Kells such an exuberant work, that I can get exhausted looking too closely at different parts of it, yet I want to see it again every time I return to Dublin. A great way to see the Book of Kells is on a student-led tour of Trinity College here.